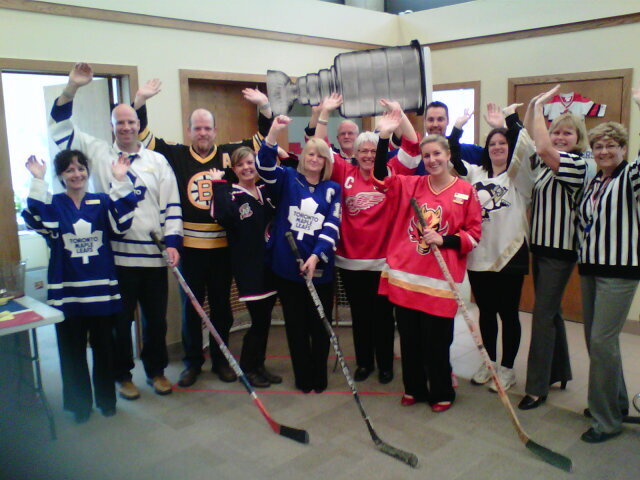 It's Customer Appreciation Day at CIBC branches across Canada, so the staff at this George St. branch in downtown Peterborough decided to dress in hockey jerseys—some retro—to mark the occasion, this being the NHL playoffs. Thanks to the referees were not giving us a penalty during our impromptu photo session. 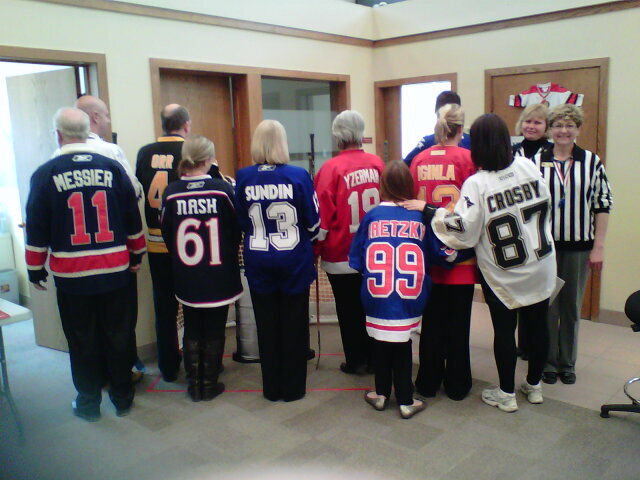 CIBC, Customer Appreciation Day, George St.